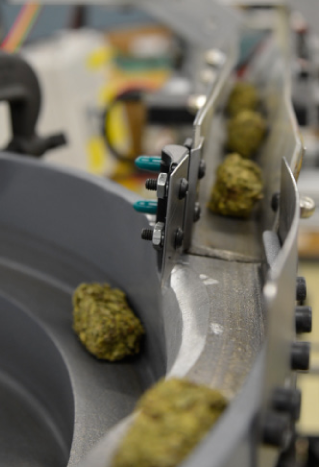 In the medical marijuana industry, the packaging process is critical. Oxygen, light and humidity all work to degrade the quality of cannabis—the more it is exposed, the more the cannabinoids are degraded. 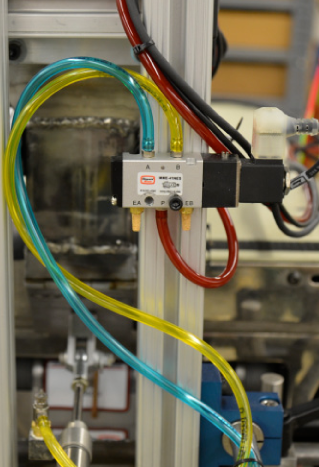 A superior packaging system gives manufacturers distinct advantages. "It's no secret that the medical marijuana industry has really taken off, and we have already been developing innovative solutions for the medical and packaging industries for years. So when we began brainstorming ways to develop new revenue streams, this seemed obvious. It was really just the next step." 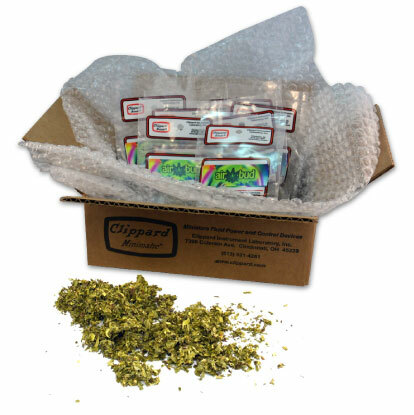 Clippard's engineering department developed an innovative packaging system that uniquely preserves and protects the marijuana, in addition to allowing it to be easily packaged. Bulk product is poured into the system by hand, where it is dispensed onto a conveyor belt. 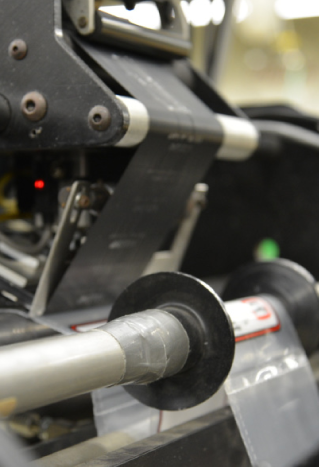 As it moves along the conveyor, the system senses the product on the belt and sets of cylinders extend and retract, pushing it into precisely portioned piles. Once properly portioned, a proprietary binding agent is dispensed and the product passes through to the cubing station. 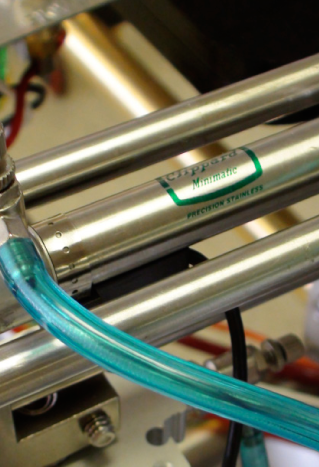 Here, two sets of cylinders extend to compress the product into compact, easy-to-package cuboids which are then sealed into packages, labeled and dispensed into a box to be shipped. 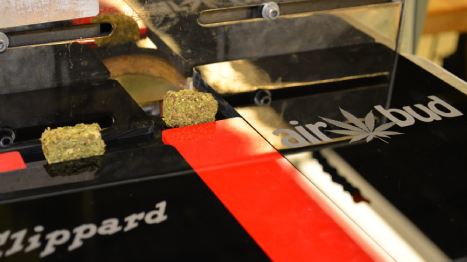 Clippard's Formula 420 was the deciding factor behind the decision to launch BudPack, a new Colorado-based division that will focus on the production and packaging of marijuana. 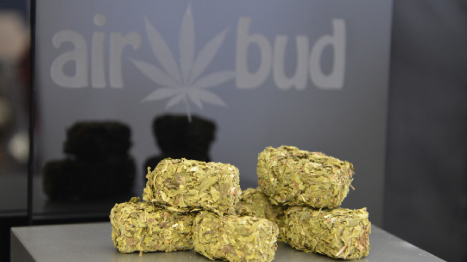 Kyle Kushman, lifelong marijuana connoiseur, has been named BudPack’s CEO. 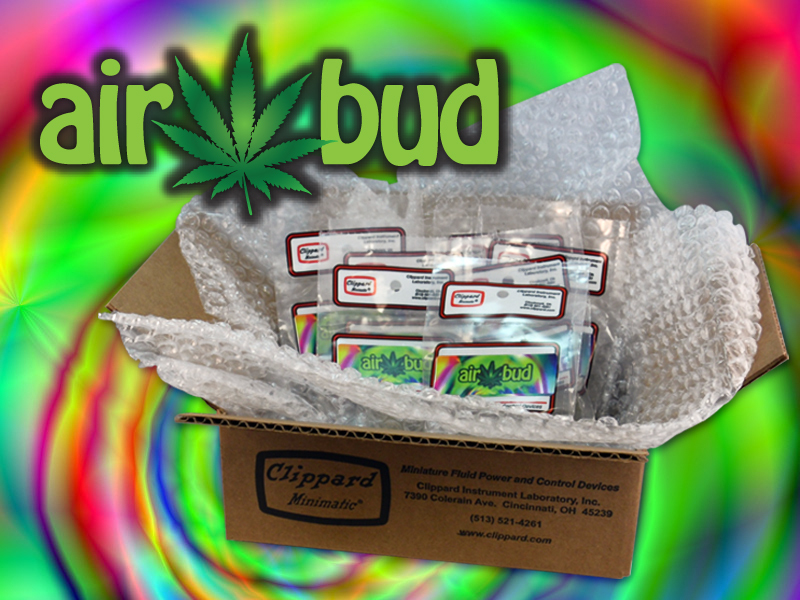 Kushman worked directly with Clippard engineers to develop AirBud, BudPack’s house brand of medical marijuana. AirBud has been specially engineered for BudPack. Its medicinal qualities are actually enhanced by key enzymatic processes activated by the proprietary binding agent, and are uniquely protected by BudPack’s innovative pneumatic packaging process.